Sandra’s interest in nutritional therapy became more focused after she first discovered the power it had to combat her own health issues approximately 15 years ago. 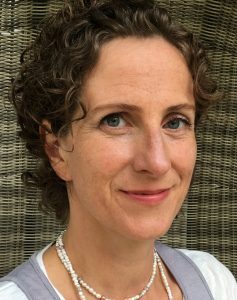 Having previously gained a BSc in Physiology and Pharmacology at Southampton University she furthered her training with an MSc in Biomedical Sciences Research (specialising in Neurobiology) from King’s College London and then vocational training through a Diploma in Nutritional Therapy with BCNH. Along the way she squeezed in an intensive TEFL course and had two children. More recently she underwent further training with Functional Diagnostic Nutrition (FDN) which has taken her clinical skills to another level. You can read more about how an FDN approach may be able to help you here. With a passion for an evidence-based approach and helping people find health and wholeness through nutrition and other complementary modalities she now offers a range of services to help meet various needs in a variety of ways. She looks forward to helping you to find one that will suit you. Sandra is fully insured and accredited by the regulatory body for Nutritional Therapists, CNHC and can be found on their register of practitioners. The interventions recommended on this website have an extremely good track record of safety but anyone following these recommendations is invited to take responsibility for their own health and seek advice from their own GP or consultant as appropriate before making changes. Purchases made on Amazon following links from this website generate a small income for Wholistic Health without extra cost incurred to the buyer. These are only ever genuine recommendations and would be made irrespective of the generation of income.